Easy French Recipes – Easy French Food Recipes – French Recipes Easy | Cook Eat Delicious! When I think of French cuisine beautiful food with spot on presentation comes to mind. Hard work and effort of a large and rude French Chef in the kitchen! But is that what French food really is? Try some of the following easy recipes to taste some delicious French food in your own home without having to fly to Paris. French Cuisine is one of the most respected around the world. To be trained to cook in France is an honor and the skills will last a lifetime. Don’t miss out on this delicious international cuisine. 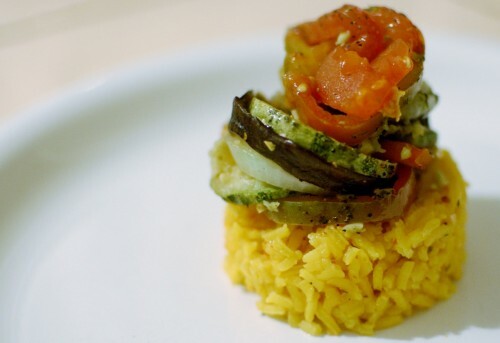 The last time I made ratatouille, I thoroughly enjoyed it. The herbs were perfect with the vegetables used. The only thing was that I had pan cooked the veggies and they didn’t have that pretty presentation as most ratatouilles do. So this time I decided to bake up the ratatouille. It is easy enough to slice up some veggies. If you have one of those fancy madolins you can get your veggies all the same exact width for super perfect presentation. Delicious Rating: Super good. This is an easy recipe, nothing to it. I use eggplant and always will sweat them to take out some of the bitterness. Besides that, I serve it with rice cooked with some turmeric and it tastes delicious. Will definitely cook this up again. After I saw the movie Ratatouille, I imagined that one day I myself would cook up the French dish in my own kitchen. Well the day has arrived and gone and the Ratatouille was interesting…but good! Most Ratatouille recipes are baked, however I chose to pan cook all my veggies…I was hungry and couldn’t wait! You can really mix and match vegetables until you get the combination you prefer. I didn’t have the traditional eggplant so I substituted with portabella mushrooms and the taste was delicious but of course everything wasn’t as beautifully colored as most Ratatouille recipes. I served this vegetable melody over rice that was cooked with turmeric, to add a flavor to the rice and a nice color to the dish! 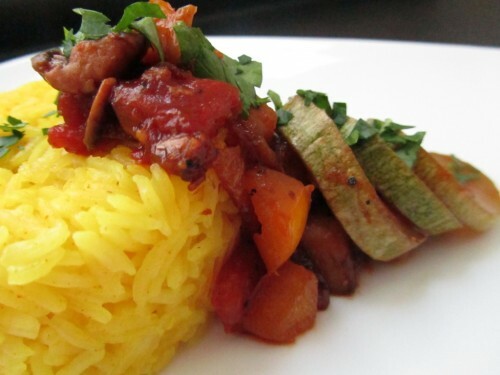 What is also great about this Ratatouille recipe is that it is vegetarian & vegan! Yay for Vegan Recipes! Delicious Rating: Fresh herbs liven this dish up. As I said above that you can really mix and match the vegetables you like with seasonings you may prefer. I found it to be rather delicious and an easy recipe to make. Next time I will try baking it and find an eggplant to go with the rest of the dish. This can be served for lunch or dinner and the leftovers are just as yummy as the day before! Send me your favorite Ratatouille Recipe so we can compare! Does France really have the best desserts? I don’t know but this is literally the best thing I have ever eaten in my life. Like Seriously, For Reals. Absolutely Delicious. I can’t get over it! Not only is it a pretty easy recipe to follow but it is so fancy! 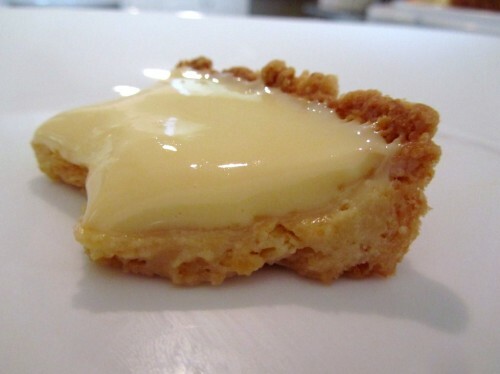 Of course, I am a total lemon lover and I could eat pastry crust by itself. So imagine combining the both…no words, no words. I am submitting this delicious dessert to this month’s event “D for Desserts”. It is being hosted by Suvidha’s Kitchen. I am always ready to cook up anything sweet so this challenge was fun and turned out delicious! I can’t wait to see what everyone else will come up with. I always welcome new Lemon Recipes! I definitely plan on baking this up again. Delicious Rating: All I can say is that if you don’t cook this Lemon Cream Tart your life may never be complete. That is all I can say.